Keep your vehicle running safe and efficient with frequent checks of your exhaust system to ensure you and your family's safety. Make sure there are no holes in the exhaust system or in the passenger compartment where exhaust fumes could enter. Exhaust system repair which primarily involves the replacement of mufflers, tailpipes, and catalytic converters. 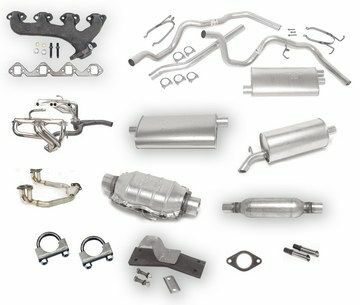 Yeck's Auto Repair has the technical know-how and parts to make you vehicle like new again, including mufflers, exhaust pipes, catalytic converters , exhaust manifolds, clamps, exhaust accessories, and complete exhaust systems packages. We’ve all heard a car or truck in our Council Bluffs neighborhoods that needs a new muffler. But there’s more to the exhaust system than just the muffler. Now, let’s address the environmental issues for our Council Bluffs community. Exhaust gas contains a number of pollutants and particulates. The catalytic converter scrubs some of those harmful substances. And diesel vehicles have systems to deal with soot. And that leaves the muffler. The beauty of getting a new muffler is that you can suit your taste: Some want whisper quiet and others like a little rumble. And some like a roar when they drive down our Council Bluffs streets.